Wow! What a night. The bands were fantastic, quite possibly our best line-up ever. Thanks to all the performers, our sponsors and everyone who attended. We don't have all the numbers in yet, but after expenses, it looks like we'll make almost $2,000 for the Juvenile Diabetes Research Foundation. Special thanks to our Music Director Clay Grueber and to Erin Wilson and the staff at Wealthy Theatre. Thanks also to Karisa Wilson, she did a great set but the photos of her didn't turn out. 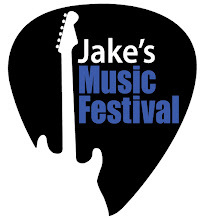 Tune in your local (Grand Rapids) radio stations this week to hear about Jake's Music Festival. Tom and Jake Scheidel are interviewed by Shelly Irwin about this weekend's festival. Tom Scheidel, Music Director Clay Grueber, and singer Todd Herring appear with Kevin Murphy on this weekly show highlighting local music. Members of the Grand Rapids School of Rock will play and talk about their upcoming appearance at the festival. This month's issue of Revue Magazine has articles on two of the bands playing at Jake's Music Festival - Spencer Mulder and Igby Iris. Click here for Revue. Unfortunately Simien The Whale will not be able to join us for Jake's Music Festival this year. We are very happy to announce that Spencer Mulder has been added to the show. Here's the complete list of this year's performers with expected start times. Come early or come late. Stay for the whole night or just check out a couple bands. Whatever you want to do you're sure to have a good time. And every dollar in ticket sales goes directly to the local chapter of the Juvenile Diabetes Research Foundation. We are very excited to announce this year's line-up for the Festival. Once again we'll be at Wealthy Theatre. The show starts at 5:00 p.m. on September 19th. Karisa Wilson, Todd Herring, Muddy V.